Imagine if you can a city already thousands of years old when Giotto drew the Capanile in Florence; a city already turned to dust millennia before the first foundation stones of Chartres or Notre Dame were laid. Before all of western history started, in fact. That city is the city of Babylon. In the Musee du Louvre, for a few more weeks, the history of Babylon is traced from the distant past to the present days, finishing with the discoveries by German explorers at the end of the 19th century. The Babylonians were compulsive book-keepers, and recorded everything on clay tablets, baked in the harsh desert sun. It’s thanks to this that we know so much about them and their culture. I was a little amazed to discover that even today, among the hundreds of thousand of clay tablets which still exist, quite a few have still to be translated. And of course it is an obvious question to wonder what fraction of the words and text produced today will still be around to be read in 4000 years — we can hardly read a floppy disk made ten years ago. There was a lot of material about Babylonian civilisation, their codes of law and the city itself. 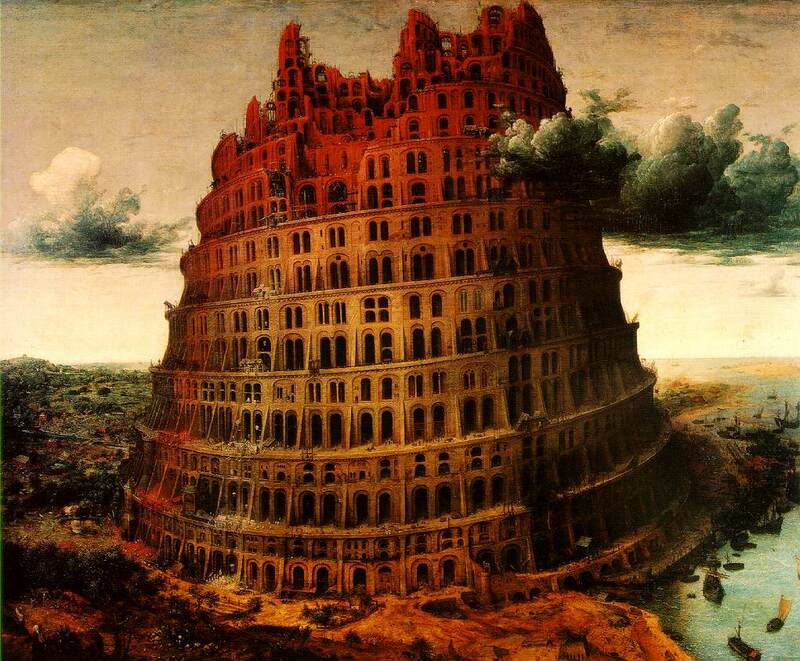 The Ziggurat in Babylon was confused by many people as perhaps having been the tower of Babel, and one room of the exhibition is dedicated to representations of the Tower in western cultures. It seems the image of the tower is perhaps as widespread as that of San Sebastien and his arrows… Bruegel’s tower, I learned, was inspired by a visit to Rome, and in fact bears more than a passing resemblance to the Colosseum. The second half of the exhibition was concerned with the representation of Babylon in western civilisation. The city, it seems, was all things to all men, depending on the epoch and who was writing the history: either a fabulously opulent city of great wealth and beauty, a place completely corrupt and decadent and worthy of destruction. I would have liked to have more learned about Babylonian astronomy; they were one of the first if not the first peoples to systematically observe the sky. In one room, a Byzantine russian text was opened to a page showing Babylonian astronomers (in their tower) assiduously observing the sky. But unknown to them, behind them, the hand of god surreptitiously moves the stars in the sky. Indeed!